Keeneland's November sale is the largest grossing breeding stock sale in North America, and the perception seems to be that it includes higher quality stock than Keeneland January. The 80% difference in average sale price of in-foal mares between the two sales can be accounted for by November's typically younger and/or more proven broodmares, especially those in Book 1. However, the resulting foals (only those sold in utero) from all mares show that the difference in average performance is not as great as the sale price might imply. 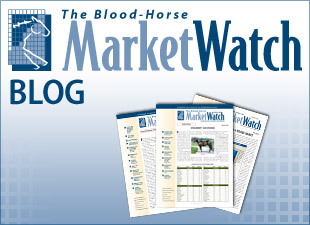 MarketWatch examined the track performance of all foals sold in utero at Keeneland November and Keeneland January over a five-year span (includes only horses reported foaled in the U.S., Canada, Europe, and Japan). While the disparity in average sale price for these foals is large, there is only a 13% gap in earnings per starter: Keeneland November foals averaged $67,790 per starter, while Keeneland January foals averaged $59,721. 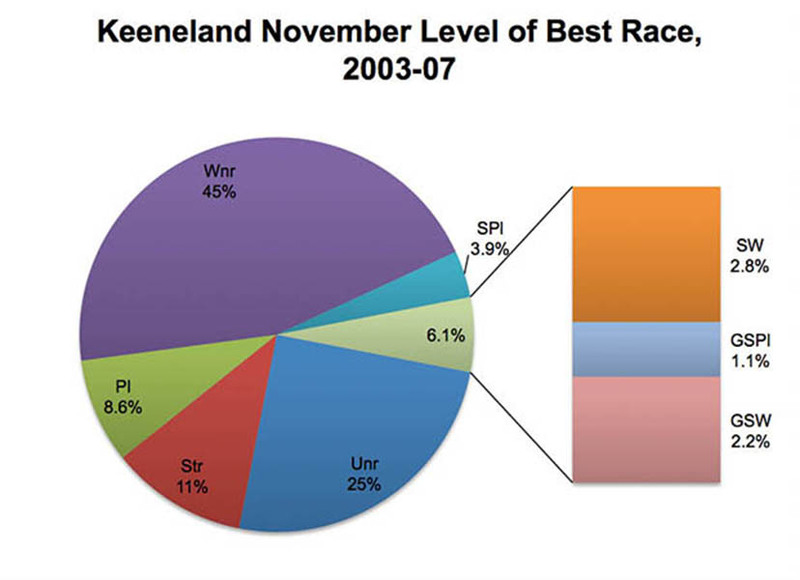 Keeneland November produced better percentages in nearly all performance categories, but seven of those were separated by less than 1%. That sale has proven more successful at getting high-quality runners, producing 6.1% stakes winners and graded stakes horses, 1.5% better than Keeneland January's figure of 4.6%. However, the sales produced nearly identical percentages of grade I winners, with 0.5% grade I winners at Keeneland November and 0.4% at Keeneland January. While November again has the better percentage, on average the dams of those grade I winners sold at November cost nearly 200% more than those sold in January, indicating that better value may be found in January. 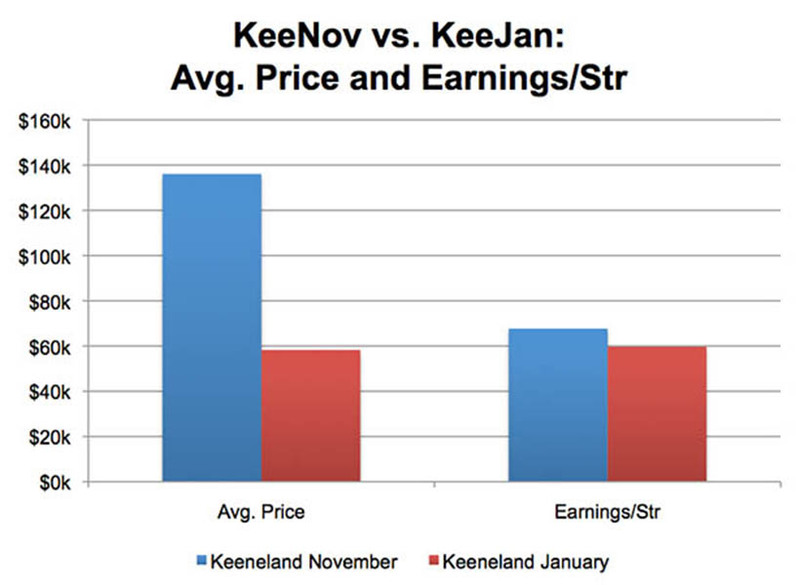 Keeneland's November sale has a slight edge when it comes to high-quality runners, but these sales are nearly equal in their capability of producing runners from in utero foals. Some of the most successful horses sold in-utero at each sale are listed below.